Last weekend all eyes were on the divisional cup competitions with the Westaro Cup taking centre stage for the top flight clubs. League champions Westport United needed a penalty shootout to progress as Claremorris after the game finished 3-3 after extra time. Colm Keane struck two first half goals from free-kicks, with Andrew Peters and Matthew Peters both finding the net for Claremorris before half time in this entertaining encounter. Westport went in front for the third time not long before the full time time whistle, thanks to a Adam Mulchrone goal, but Oisin Brady leveLled it up again right on full time to send the game to extra time. No one could find the net in the additional periods and Westport emerged winners 5-3 on penalties. 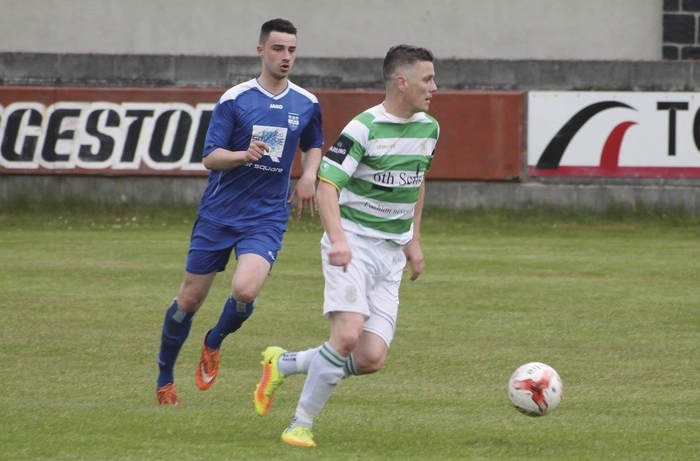 Castlebar Celtic booked their spot in the next round with a 1-0 win over Ballina Town thanks to a Ben Murphy strike, while they went down to another loss Ballina Town can take heart from the fact they put in a much better performance to the side's last meeting. Glenhest Rovers dumped Ballyglass out of the competition to record their second win in as many games, they saw off the central Mayo outfit 2-1 with Kevin Warde putting the hosts in front just before the break. Fionn Curran levelled it up on the 70 minute mark, but Mark Rowland popped up to score the winner not long after and send Glenhest through to the next round. There was another thriller in Green Road where Straide and Foxford United and Manulla were only separated by the odd goal in five, with the visitors taking home the spoils. Anthony Elding hit the back of the net twice for Manulla, with Michael Guilfoyle also finding the target, with the hosts goals coming from Paul Moran and Aidan Gaughan. The final game of the round saw Achill Rovers see off Ballyheane 3-0, with Ronan Kilbane, Brandon McGing and Chris Western all finding the net for the island men. Tomorrow evening Achill will hit the road to take on a Straide and Foxford United side that sit top of the table on goal difference at the minute. The home side in this one will be itching to get back to winning ways after suffering a cup defeat last weekend and it could be too tough of a test for the islanders. The other Saturday night game in the Super League is the meeting of Manulla and Ballyheane in Carramore. After going down to Achill last weekend in the cup the visitors in this one could be in for another tough afternoon against a Manulla side who have looked like they really mean business so far this season. On Sunday, two sides who exited the Westaro Cup last weekend will meet in Keaveny Park when Ballyglass host Claremorris. Just three points separate these sides in the table with Ballyglass having the advantage, but their visitors also have a game in hand, so a win here for either side is a must. Castlebar Celtic who are stalking the top two in the table at the minute, sitting just a point behind both Manulla and Straide and Foxford, with a game in hand, will host Glenhest Rovers. The visitors had a great home win last weekend in the cup, but will find it very difficult to follow that up with another win away to the Hoop's this time out. The final game in the Super League this weekend is the meeting of Westport United and Ballina Town in Westport. The champions have begun to move through the gears in recent weeks, while Ballina Town have started to resemble the side we saw over the last few years after their very poor start, but the champions will be confident of taking the points in this one.